Our most recent book, Beebe and Clegg: Their Enduring Photographic Legacy by John Gruber and John Ryan assisted by Mel Patrick, sold out its initial printing in just four months. The second printing is now available and with a cover price of $65; we will offer the original price of $59.95 through the end of the calendar year. 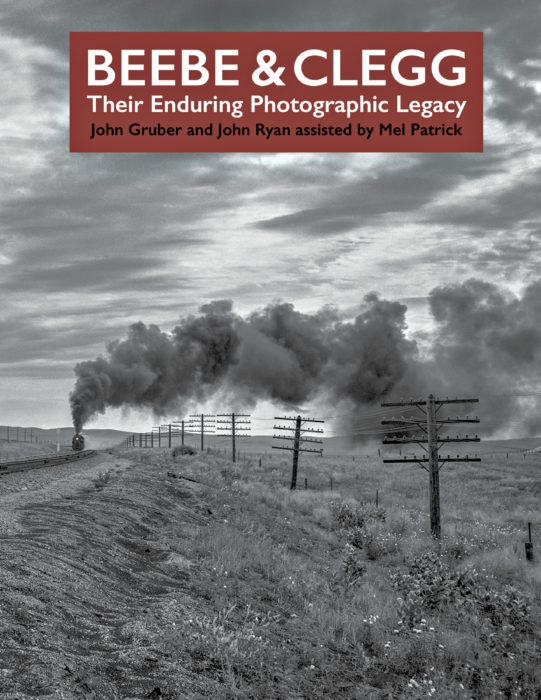 The book tells about how partners Lucius Beebe and Charles Clegg introduced railroad photography and the world of railroading to wide popular audiences. The authors bring the best of Beebe and Clegg’s photographic work together in one book for the first time, using high quality duotone printing. A companion exhibition opened on September 21, 2018, at the California State Railroad Museum in Sacramento, where it will be on display until March 31, 2019.